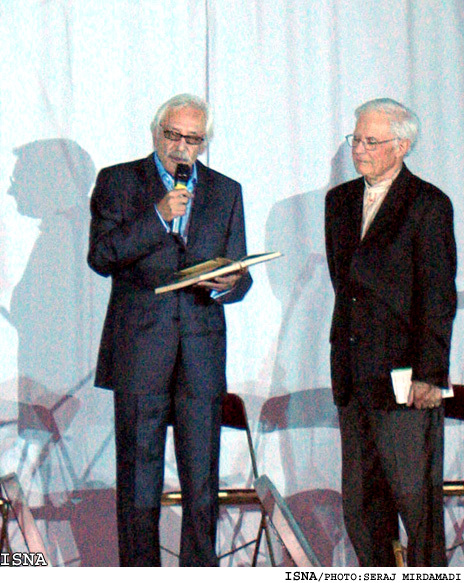 THRAN, Nov.17 (ISNA)-The veteran Iranian actor, Jamshid Mashayekhi, was awarded the honor certificate of the Iranian Art and Culture house in France and also the joint "Hafezology Foundation" honor along with the French scholar and translator Charles-Henri de Fouchecour. Mashyekhi was venerated during the Hafez Night at Palais de la d�couverte (Discovery Palace) in the French capital Paris on the 15th of November for five decades of artistic activities. Mashayekhi also recited a poem by Hafiz in the beginning of the ceremony. 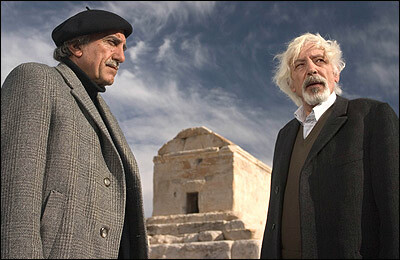 Also the French scholar and translator Charles-Henri de Fouchecour, who is well-known for his research on the great Persian poet Hafez, was honored at the event organized by Iran's Cultural Office. Fouchecour also recited French literature simultaneously along with Mashayekhi.